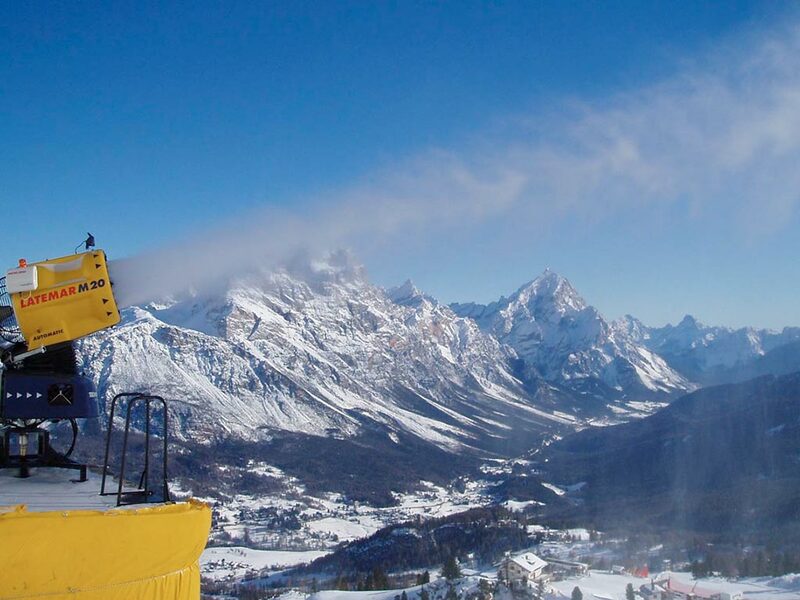 40 km of slopes, covered with fresh snow, or, if needed, with the artificial snow made by 54 snow cannons and 33 nozzles. Every night 8 powerful snow-cats manipulate and groom the snow to guarantee the best possible snow conditions for the entertainment of our customers and the satisfaction of great skiing performances. When you have become familiar with skis and snowboards, you are ready to confront the acquired skills on the legendary Tofane ski tracks. 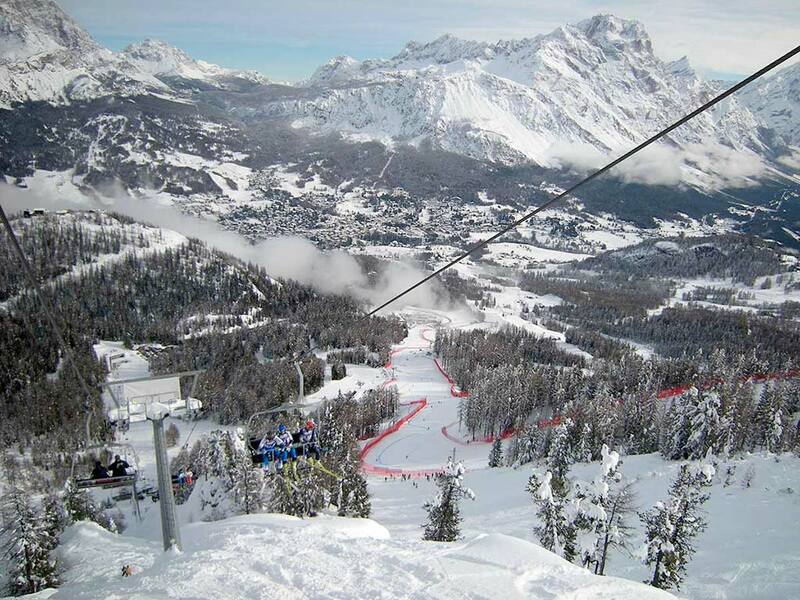 Up there, the tracks bear names that recall the emotions of the Olympic Games; the Pomedes Schuss where the racers of the womens World Cup reach 120 km/h, Stratofana Olimpica, Vertigine Bianca, Canalone, Labirinti, Cacciatori. 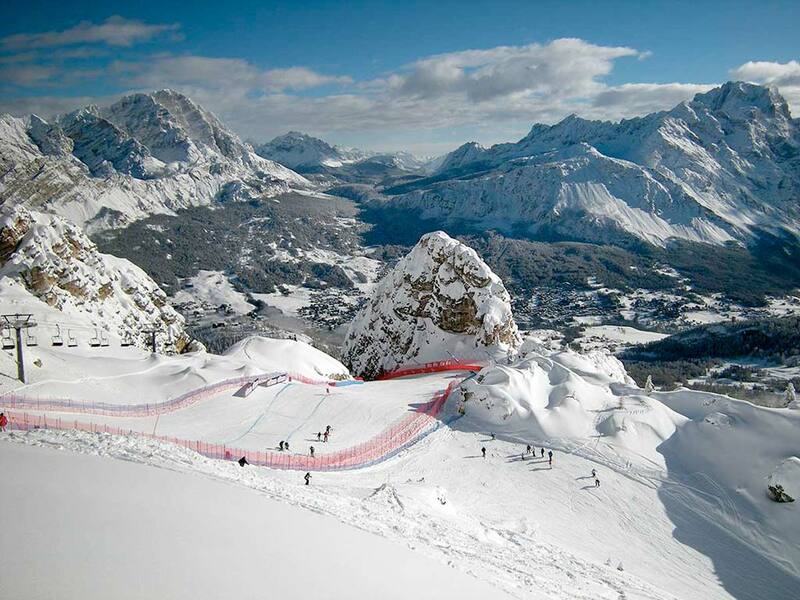 All these tracks have been entered into the history of skiing and every year, since 1993, have been the stage for the Women’s World Cup races. 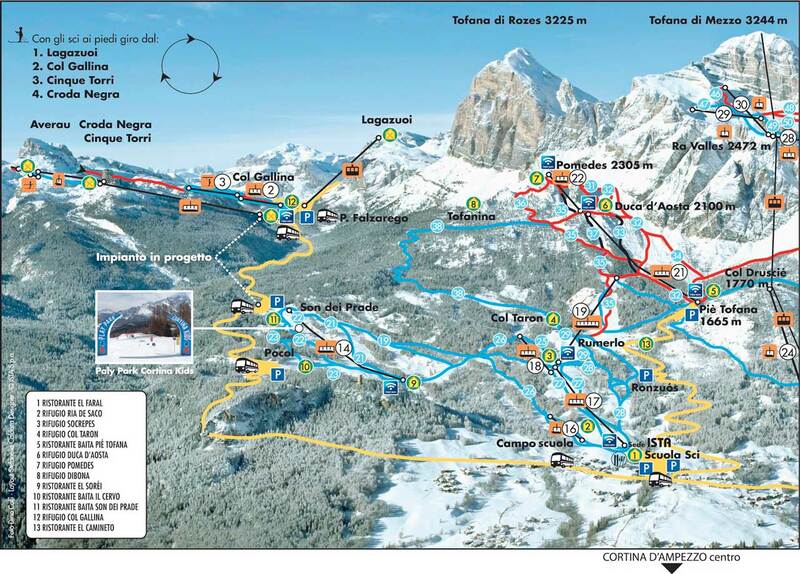 Tofana is non only accessible to expert skiers: the suggestive Tofanina, at the arrival of the Piè Tofana chairlift at 2100m, is an easy slope where ski-instructors are often found leading their children and beginners in a unique skiing experience, “a walk through the forest”. It has, for the most part, been widened, modelled according to the old route it has been made easier and safer and features a very modern snow making plant. All of which allows you to enjoy the pleasure of skiing for as long as possible during the season. 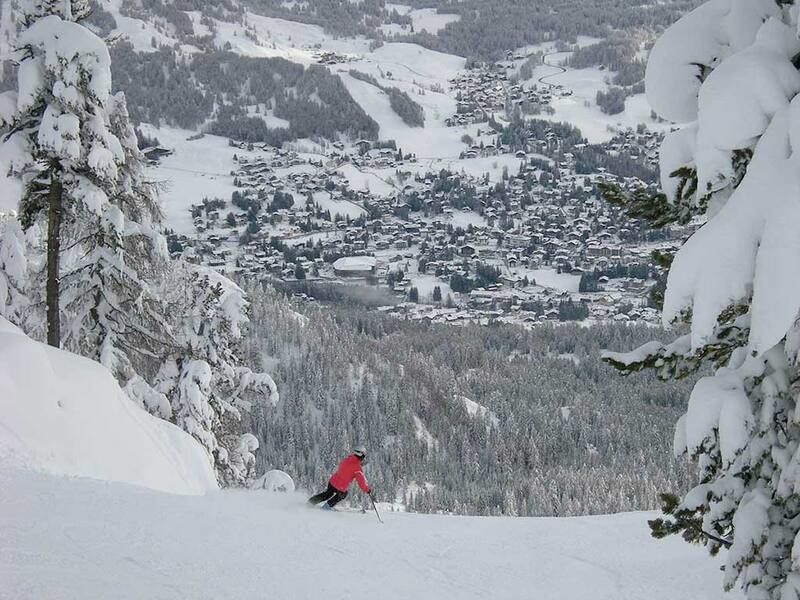 The Olimpia chairlift at Pocol takes you into a veritable ski paradise both for beginners and well trained skiers. 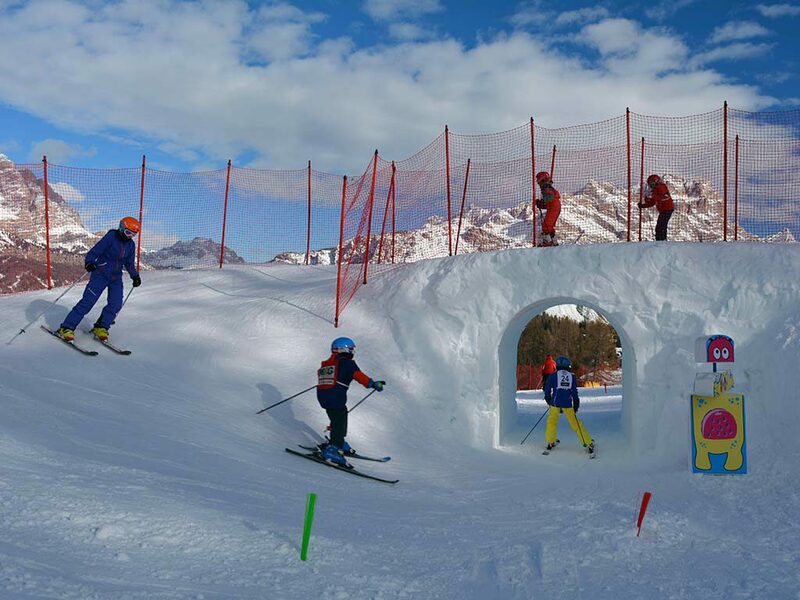 Here the wide variety of moderate slopes allows everyone to relax and enjoy their entertaining sports performances. 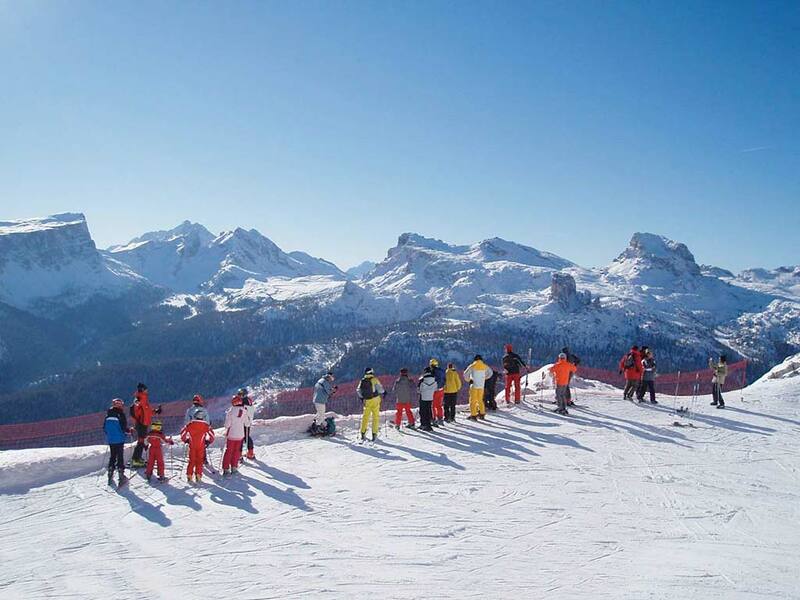 Socrepes is the most convenient and easily accessible location from which to reach all the uphill facilities; it also features a parking area for the coaches, ski rental services and a branch of the Cortina Ski School. 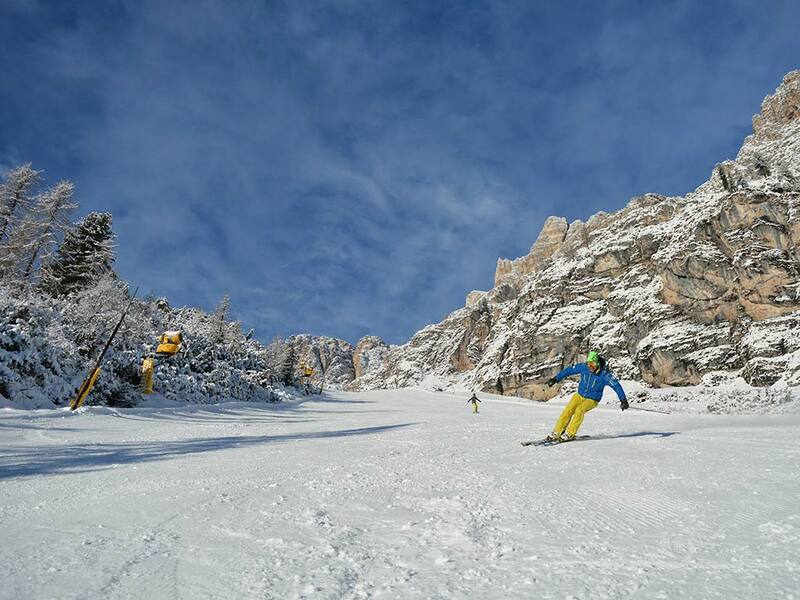 In this area, precisely on the San Zan ski slope there is the newly created Cortina Snow Park – about 500m long and divided into areas with different levels of difficulty – complements the Tofana ski area with an exciting offer for the most demanding snowboarders and free sytlers.